It's no secret that there's a huge dearth of women entering STEM fields. And the ones who do face discrimination on a daily basis. It's a very tough field for them to break into and when they do there are a lot of barriers for advancement. But that hasn't stopped women from absolutely crushing it in their respective science, tech, engineering, and medical fields. It's always amazing to see someone climbing to the very top of their fields and represent Science at the highest level to inspire future young women to follow in their footsteps. Whitson is officially the record holder for the most amount of time spent in space by a single astronaut, from any agency, in history. That's pretty amazing. It was a long road to get here but she's now at the top of the mountain. 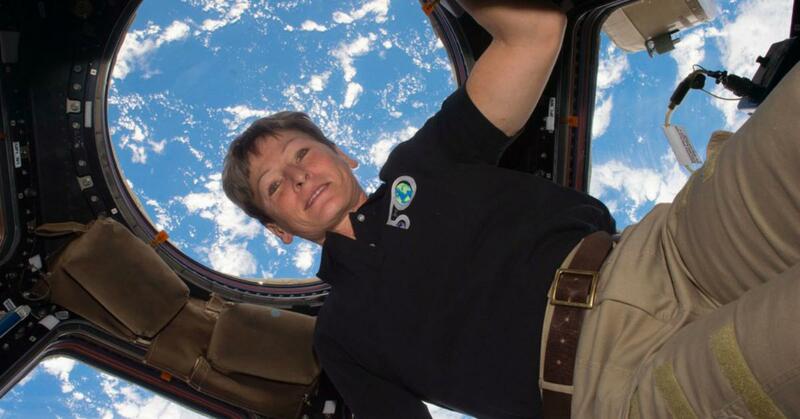 She's racked up a combined 534 days, 2 hours, and 49 minutes of spaceflight time. She beat out Jeff Williams' for the distinction, who previously held the record as of August of last year. Whitson's record should be extended for another 100+ days, as she isn't going to land back on Earth until September. Which will leave her with a whopping 650 cumulative days of space travel time. Donald Trump congratulated Whitson on her accomplishment in a live feed NASA is broadcasting on YouTube. Oddly enough, the conversation went towards drinking urine. Once Trump discovered astronauts recycled their own urine to drink as a means of making travel to Mars possible, Trump grimaced and delivered this marvelous zinger. Trump: “That’s good, I’m glad to hear that, better you than me"